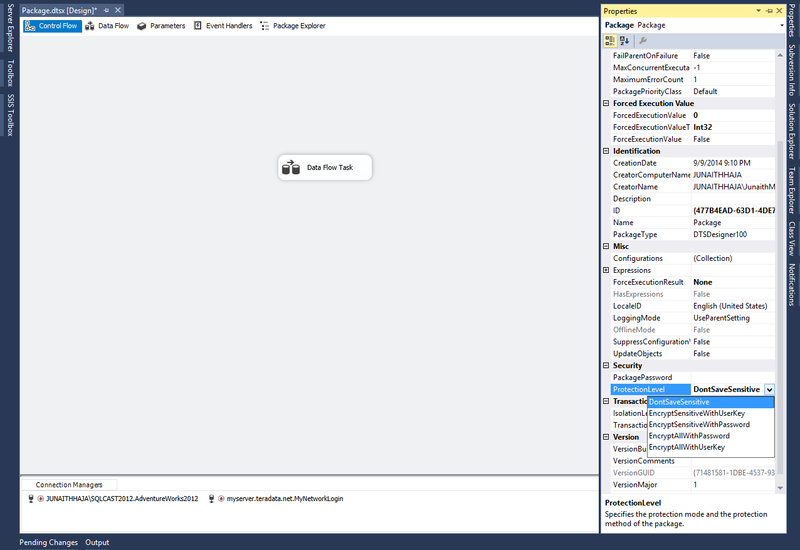 We work with SSIS packages holding sensitive data like server credentials and customer information,it is always a good practice to use Protection Level property to secure the credentials and prevent it from unauthorized access.The Protection can be set up either to an entire package or only to the part holding the sensitive data. 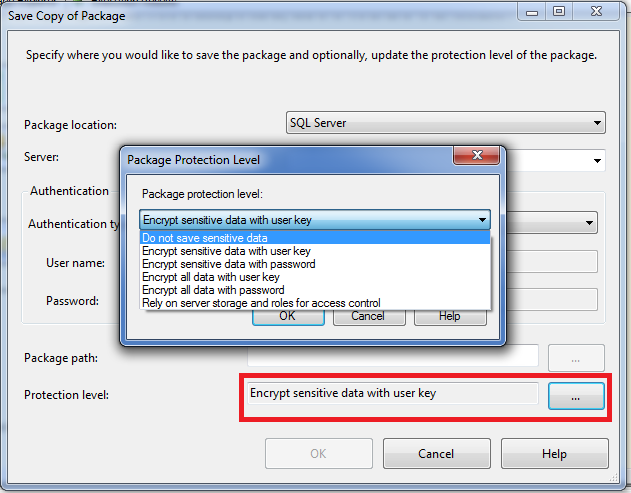 Hence its very important for us to know where to go to enable the Protection Level while working with packages. Thumb rule to be followed is the Package should have same protection level at Project and Package level. Right Click at the Project level and open its Properties window, You can configure the protection level you want from the drop down available at Security part. If you haven’t configured the Protection Level, you can still configure the package before deploying it to server by this method if you host your solution in a repository say using TortoiseSVN. 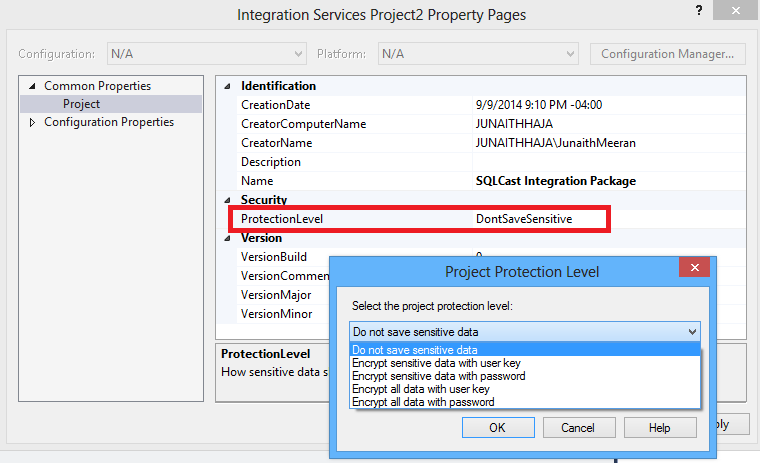 This entry was posted in All Articles, SQL SERVER 2014, SSIS, TIPS & TRICKS and tagged Do Not Save Sensitive, Encrypt All With Password, Encrypt Sensitive With Password, Encrypt Sensitive With User Key, Protection Levels, Rely on Server Storage, SSIS on September 30, 2014 by Junaith Haja.